The original name of Caesarea (Keysarya) was Straton’s Tower after its founder Straton, who is believed to have been a ruler of Sidon in the 4th century BCE. Alexander Yannai captured the city in 96 BCE and remained in the Hasmonean Kingdom until it became an autonomous city by Pompey. After being for some time in the possession of Cleopatra, ruler of Egypt, it was returned by Augustus to King Herod as a present by Augustus Caesar and is named after him. Most Israelis use the spelling Caesaria. 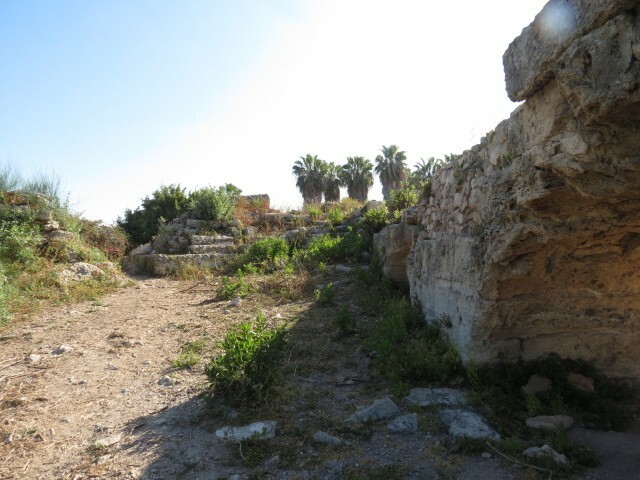 The lack of fresh water at Herod’s new “polis”, Caesarea-Maritima, required a lengthy aqueduct to bring water from the Shuni Springs, nearly ten miles away at the base of Mount Carmel. 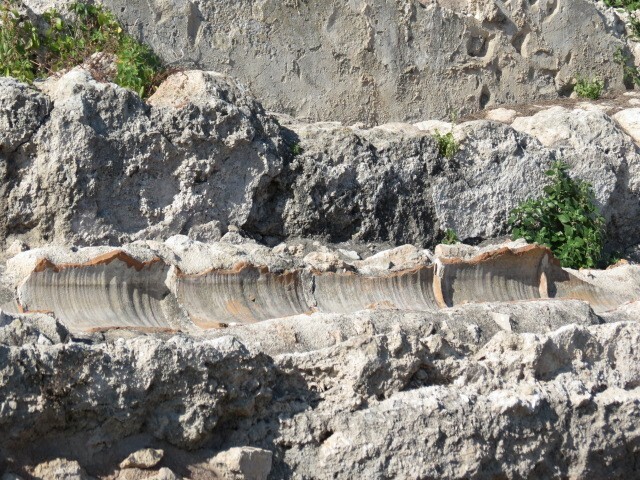 In order that the water would flow by the pull of gravity, the first aqueduct was built as a single raised, high channel on arches and the gradient was carefully measured. 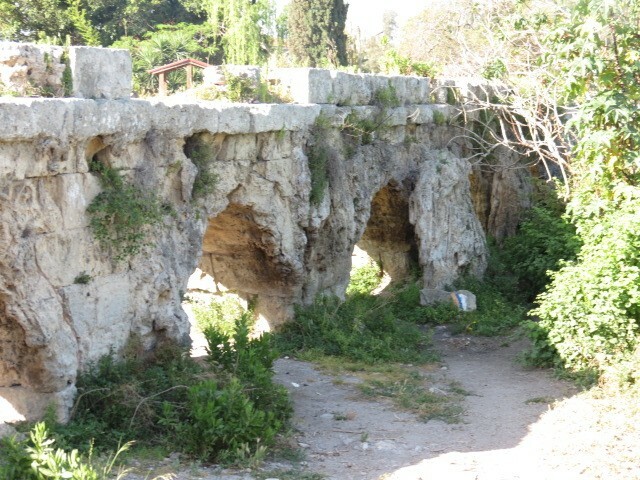 The aqueduct, originally built by Herod in the first century BCE, was repaired and expanded by the Romans in the second century CE. 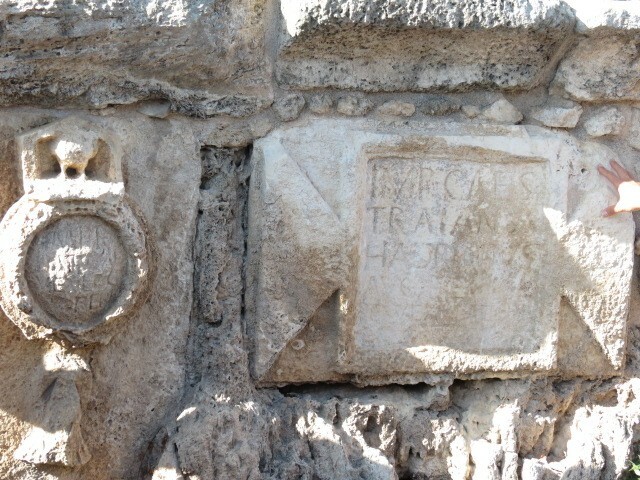 Later Hadrian and the Crusaders would attach additional channels to Herod’s aqueduct. 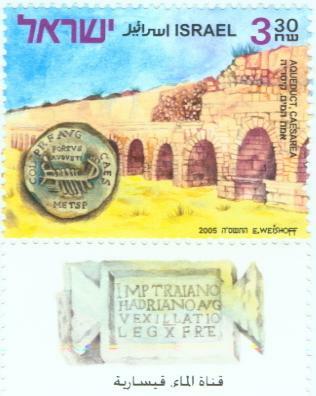 High aqueduct consists of four aqueducts for potable water: A, B, C, and D.
High aqueduct A was erected in the Roman Procurator period to bring water from the Shuni Springs. 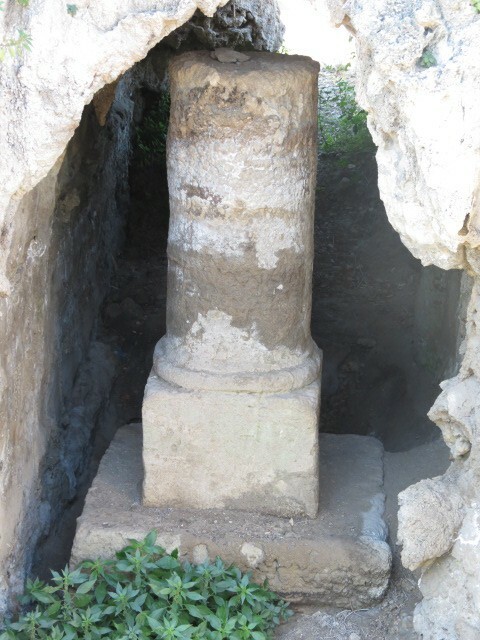 When the high aqueduct was not sufficient, a second aqueduct was built, High Aqueduct B, adjacent to High Aqueduct A, by Hadrian to bring a larger quantity of water from the Shuni Springs. 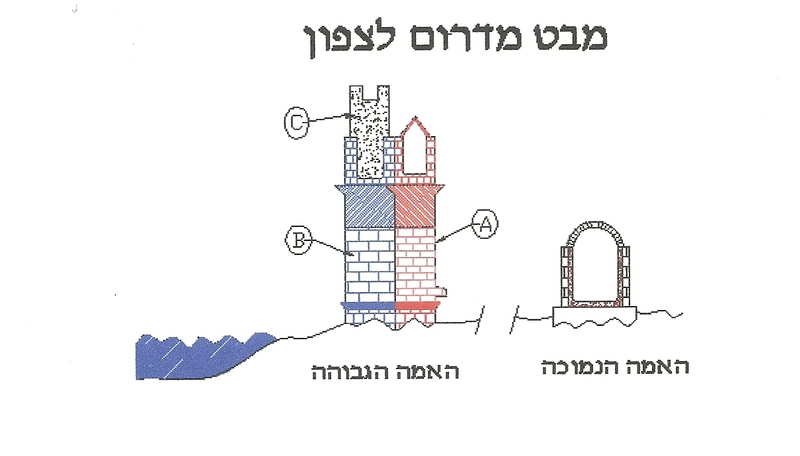 High aqueduct C replaced High Aqueduct B and raised the level of the water by two meters to bring water from Nachal Taninim (Ein Kedem, Ein Tzabarim, Ein Alon, Ein Aviel) twenty miles away through a six-mile tunnel. 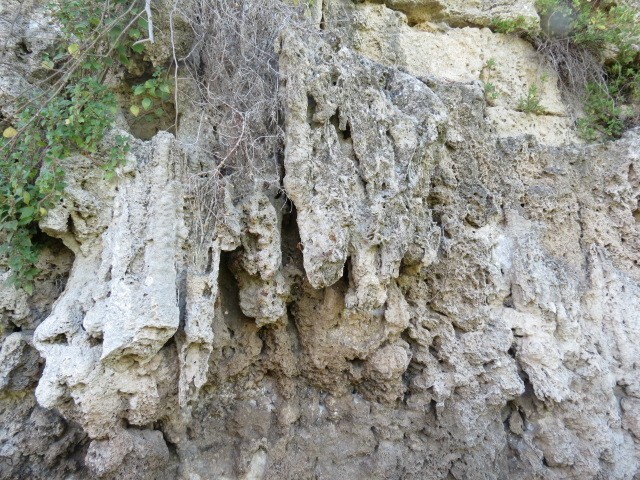 High aqueduct D is a detour route of aqueduct A. 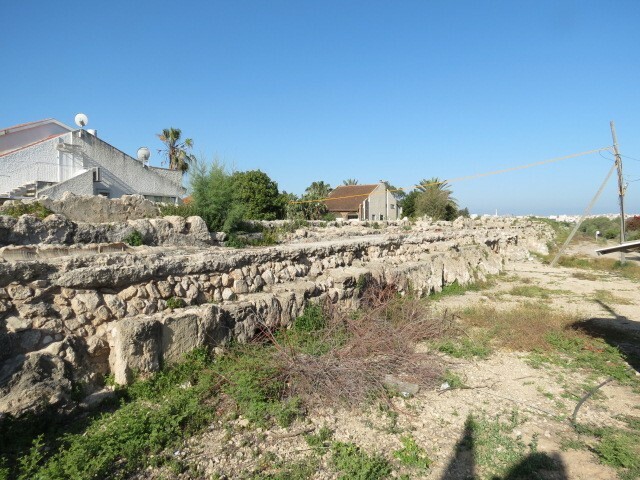 The Low Aqueduct was built in the Fourth Century CE to carry the brackish water (non-potable) in from the lake created by Nachal Taninim and Nachal Ada to be used for agriculture, workshops, fountains and latrines. The Taninim Stream Nature Reserve contains two main focal points: a sparkling stream–the last remnant of the region’s coastal waterways– and a dam from the Late Roman-Byzantine periods that created an approximately 6,000-dunam (1,500-acre) lake. The stream was named Taninim–Hebrew for crocodiles–because these reptiles inhabited the nearby Kebara swamps until the beginning of the 20th century. 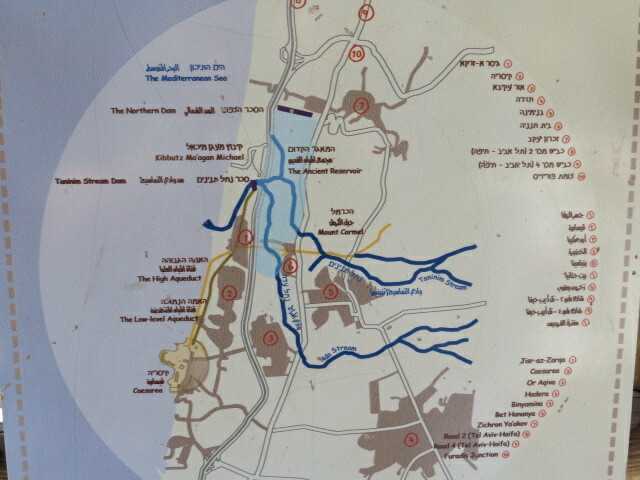 The Romans took advantage of the break in the sandstone banks of Nahal Ada and Nahal Taninim, and were therefore able to create a huge lake which became the starting point for Caesarea’s Low Aqueduct. Later the local residents made use of the dam to provide power for a chain of flour mills that operated for hundreds of years. The abundance of water led to the construction of water-operated flour mills in the Byzantine and Ottoman periods. A Byzantine-era vertical paddlewheel was found there of a type otherwise known in this country only from the Crusader period.